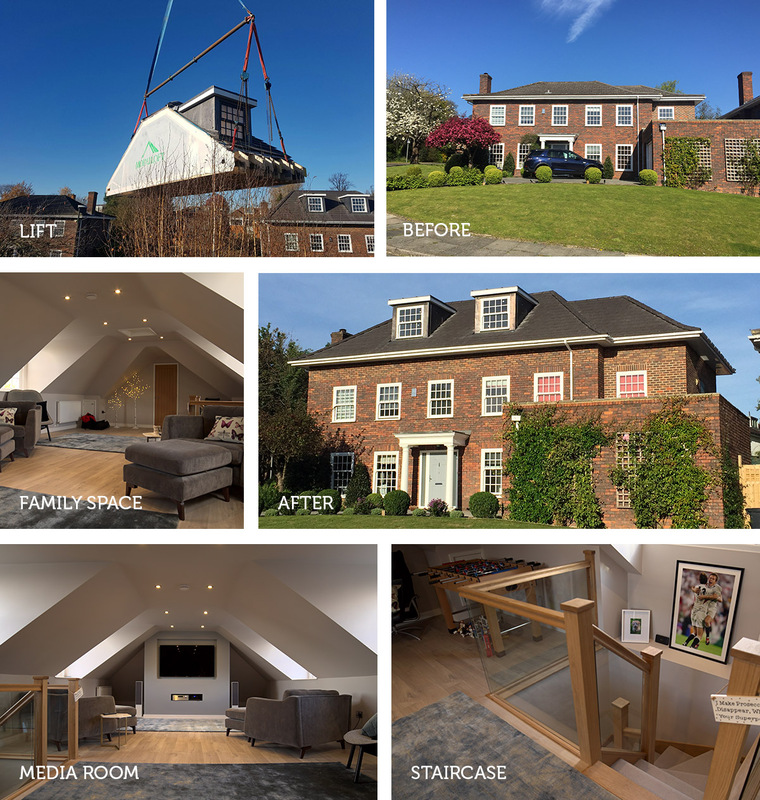 This stunning property was keen to extend into the roof space and our solution was perfect as they didn’t want major upheaval. The new space was to produce a large family media room in the new loft space. To design and develop a new loft space that created height and also pitched windows to compliment the property style so it was in keeping with the area. The solution has delivered a large bright open space with a washroom too. The overall look now is stunning and truly looks like the new roof was always a part of this property. This project in Wimbledon has led to neighbouring properties looking at our solution as they see the value in our offsite build and speed of install. 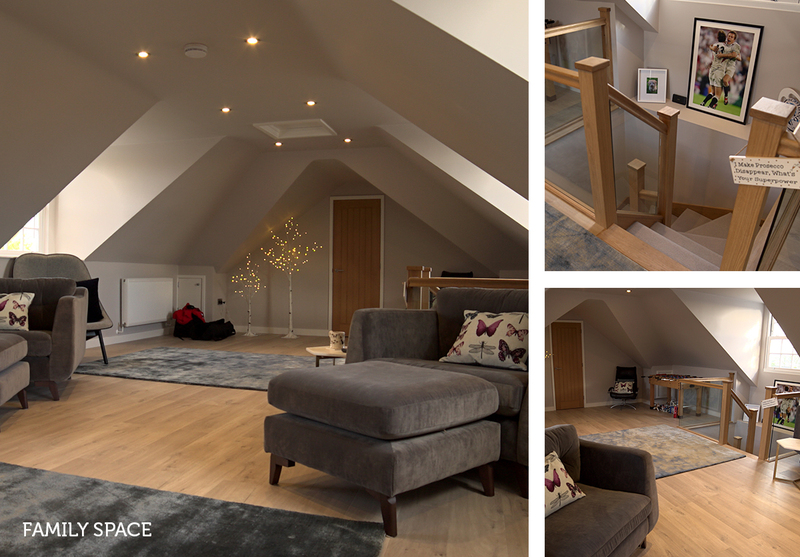 The well designed and structured staircase provides the perfect entry to the spacious new loft space which looks amazing. A key hideaway for all the family to enjoy and with stunning views over Wimbledon. The modules were delivered and lifted into place in 1 day and the team were onsite for 2 weeks to complete the install.